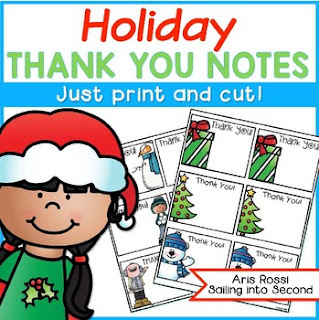 Are you looking for a quick and easy way to thank your students for any holiday gifts? These little note cards or printables are just for you! Simply print and cut! Jot down a sweet message to each student, and you're done! Thank you, and please be kind and leave feedback!